Abstract: Psychosis in Parkinson’s disease (PD) is currently considered as the occurrence of hallucinations and delusions. The historical meaning of the term psychosis was, however, broader, encompassing a disorganization of both consciousness and personality, including behavior abnormalities, such as impulsive overactivity and catatonia, in complete definitions by the International Classification of Diseases-10 (ICD-10) and the Diagnostic and Statistical Manual of Mental Disorders, Fifth Edition (DSM-5). 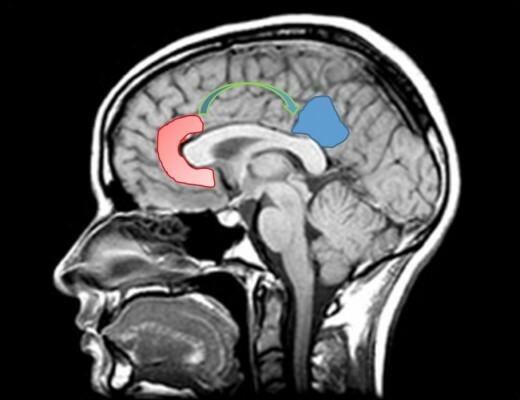 Our review is aimed at reminding that complex psychotic symptoms, including impulsive overactivity and somatoform disorders (the last being a recent controversial entity in PD), were carefully described in postencephalitic parkinsonism (PEP), many decades before dopaminergic treatment era, and are now described in other parkinsonisms than PD. Eminent neuropsychiatrists of the past century speculated that studying psychosis in PEP might highlight its mechanisms in other conditions. Yet, functional assessments were unavailable at the time. Therefore, the second part of our article reviews the studies of neural correlates of psychosis in parkinsonisms, by taking into account both theories on the narrative functions of the default mode network (DMN) and hypotheses on DMN modulation.